Recently there are a lot of crowd-related accidents (panic/crowd/stampede) occurring in rail transit hub, which is mainly caused by the large passenger flow. Due to the research of rail transit passenger flow warning is lack of practical value, and the relevant standards cannot be adapted to the local conditions. Therefore, this research adopts the mobile phone signaling, Wi-Fi detection technology and video image processing technology to obtain the accurate passenger flow data. Based on the research of passenger flow warning indicators, the passenger flow density is regarded as the warning indicators, so the precise region area becomes essential. Then the spatial map technology is used to divide the regions of rail transit hub and calculate the region area by the spatial geometric cross processing method. On this foundation, this paper constructs the warning thresholds of rail transit passenger flow which mainly includes the absolute warning threshold, relative warning threshold and abrupt warning threshold. Finally, the warning thresholds are verified in the Hongqiao Rail Transit Hub, which can warn the large passenger flow timely and precisely. In addition, the warning threshold not only can satisfy the demand of the passenger flow management, but also can used in different conditions. 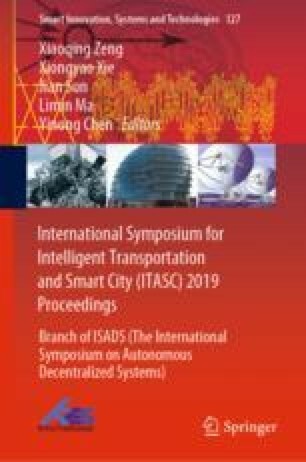 The project is supported by Tongji University and the project “Research on the Practice and Improvement of the Construction Innovation Technology of Shanghai Rail Transit Line 17” (Number JS-KY18R022-7). The authors are grateful for the reviewer of initial drafts for their helpful comments and suggestions.